Barcelona, Spain (June 2, 2017) – Following their highly successful demonstrations at the Las Vegas CinemaCon convention in March, Alcons Audio will again be teaming up with Sony at June’s CineEurope event in Barcelona, Spain. As a leader in high-output, pro-ribbon cinema sound systems for premium cinemas, screening rooms and post-production studios, Alcons will return to CineEurope. The company has supplied its pro-ribbon audio systems to some of the top names in the industry, including VUE cinemas Europe, Lucasfilm, Walt Disney, NBC Universal, Google/YouTube, Berlinale Film Festival Germany and leading post-production studios, including Levels Audio in Hollywood, CA USA and Factory in London, UK. The company is teaming up with Sony in Demo Room 134 – Level P1 at CineEurope, where a CRMS system will deliver the perfect audio experience in 5.1/7.1 format for Sony’s HDR-capable 4K laser phosphor projection system. 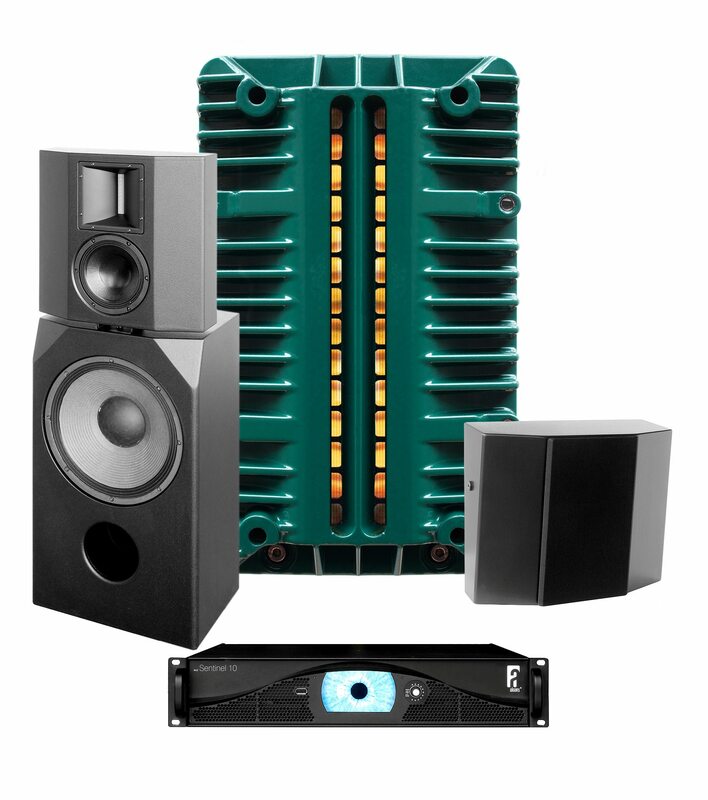 The Alcons system will comprise three CRMS screen systems, with CB181 shallow subwoofers and four CRS8 reference surround loudspeakers, driven by three Sentinel amplified loudspeaker controllers. Alcons pro-ribbon audio systems are designed to deliver a unique 1:1 reproduction of the original sound source, in literally any size application; From a four seat residential-cinema up to a 40,000 seat stadium concert, the company’s evolutionary sound solutions combine outstanding reproduction quality with exceptional digital dynamics, making Alcons cinema systems the ideal choice for premium theatres, high-end mix/screening rooms, post-production facilities and dubbing stages. “We are very pleased to again team up with Sony to deliver an exceptional cinematic experience for CineEurope visitors,” says Alcons co-founder Tom Back. “The Alcons CRMS system delivers sound that perfectly complements the high-resolution visuals of the Sony 4K laser phosphor projection system.